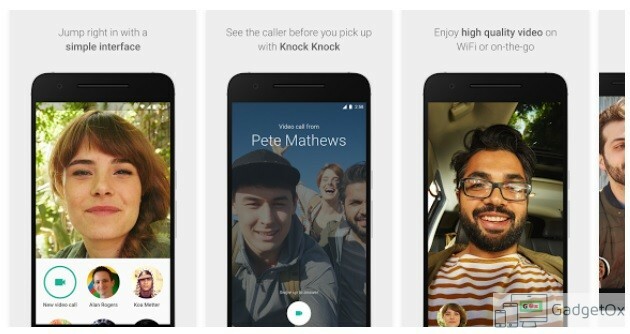 Google has now officially announced the availability of its video calling app Google Duo for both Android and iOS. You can try installing it by following the store links though it may not be available for everyone at the same time. We have also provided Android APK download link that you can use in case you are not able to install it from Store. Simple interface Duo is simple from start to finish. To get started, all you need is your phone number and you’ll be able to reach people in your phone’s contacts list. No separate account is required, so you can sign up in just a few steps. From there, you can instantly begin a video call with a single tap. Fast and reliable We all know how it feels when a call fails to connect or when video gets choppy. We’ve built Duo to be fast and reliable, so that video calls connect quickly and work well even on slower networks. Call quality adjusts to changing network conditions to keep you connected — when bandwidth is limited, Duo will gracefully reduce the resolution to keep the call going smoothly. For video calls on the go, Duo will switch between Wi-Fi and cellular data automatically without dropping your call. You can start your call at home, and continue seamlessly even when you head out the door. Human design We designed Duo to feel warm and inviting, focused on just you and the person you’re calling. To make calls feel more like an invitation rather than an interruption, we created a feature in Duo called Knock Knock which lets you see live video of your caller before you answer, giving you a sense of what they’re up to and why they want to chat. Knock Knock makes video calling more spontaneous and welcoming, helping you connect with the person before you even pick up. Knock Knock in Duo lets you see who’s calling before you pick up Finally, we built Duo with an emphasis on privacy and security, and all Duo calls are end-to-end encrypted. On this page we are providing direct APK download links, Features and changelog of latest updated versions for Google Duo, the new one-to-one video calling app from Google, so that in case you are not able to get it from Google Play Store for some reason, you can get the APKs from this page. Previously we posted tutorial on you how to install Google Play Store on your Android phone & what are the best Play Store alternatives where you can get apps as well as APK files. In case, you still face difficulty in getting Android apps or APK files from all these sources, come back to this page for Google Duo APK. Click here if you want to download APKs for other Android Apps as well. For becoming a WhatsApp Android Beta testing user to enjoy all upcoming new features in advance and before others, you can click here to read our tutorial.